They're repaving the streets where I live. They left this flyer on our door to alert us. It's good of them to keep us informed. I guess they don't want us to ask any questions. 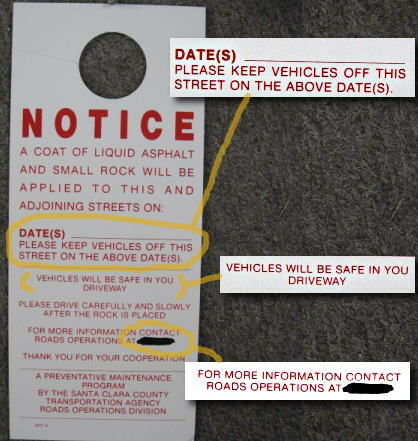 It's helpful to know where the cars will be safe. I wonder when we should start parking somewhere else?